Six 1834 half eagles in the Bass Collection, denoted by numbers 2001 through 2006, are presented in the order they were actually produced. 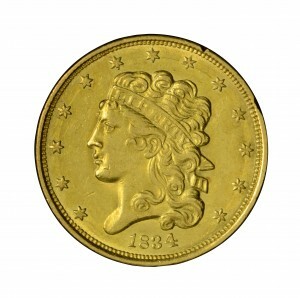 The term “Die State” describes the condition of the obverse and reverse dies when a given coin was struck. Die state evidence includes die cracks and breaks, clash marks, die lapping or polishing, and die rust. These all describe changes to the steel dies used to mint coins. 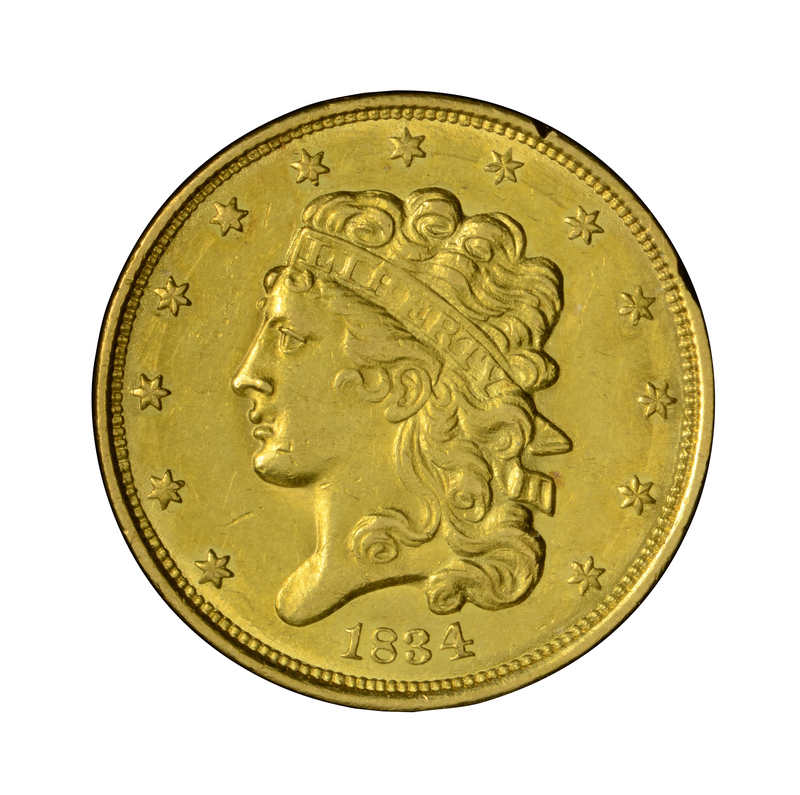 Some collectors, especially novice collectors, consider such features to be less desirable, while serious numismatic students are thrilled to find the same. Purchased from RARCOA, May 18, 1972. Liberty faces left, her curled hair tied by a band inscribed LIBERTY. Around, 13 stars are evenly spaced with the date below. 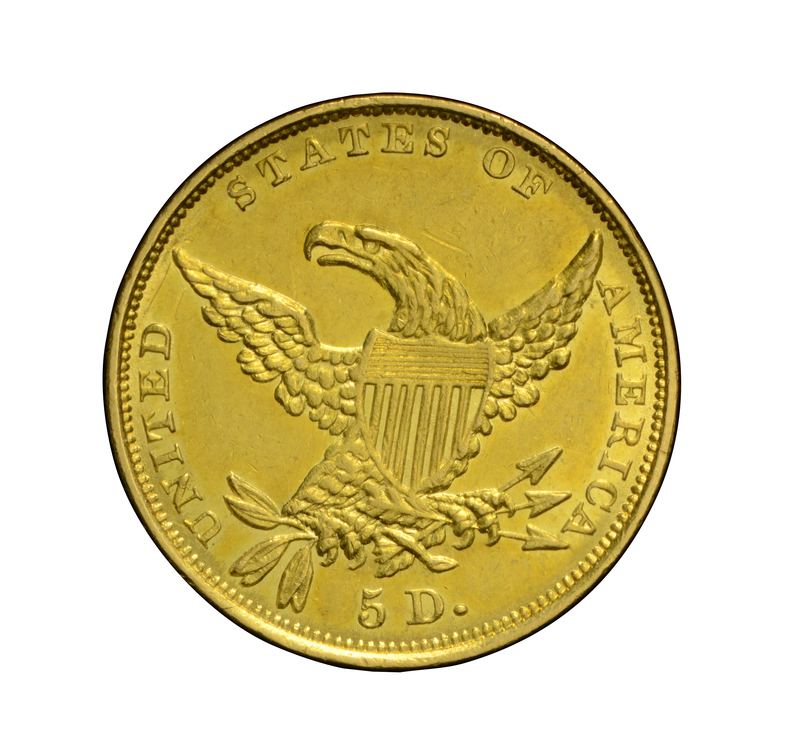 The obverse and reverse designs are characteristic of the other 1834 half eagles in this study and will not be reiterated with each listing. An eagle with wings spread has head turned to observer's left. A shield covers the eagle's breast. An olive branch is held in the dexter claw and three arrows in the sinister claw. 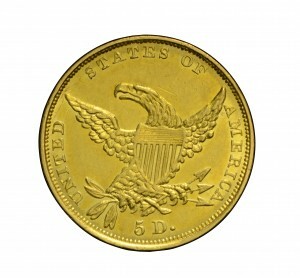 Around, the statutory legend UNITED STATES OF AMERICA with the denomination below.